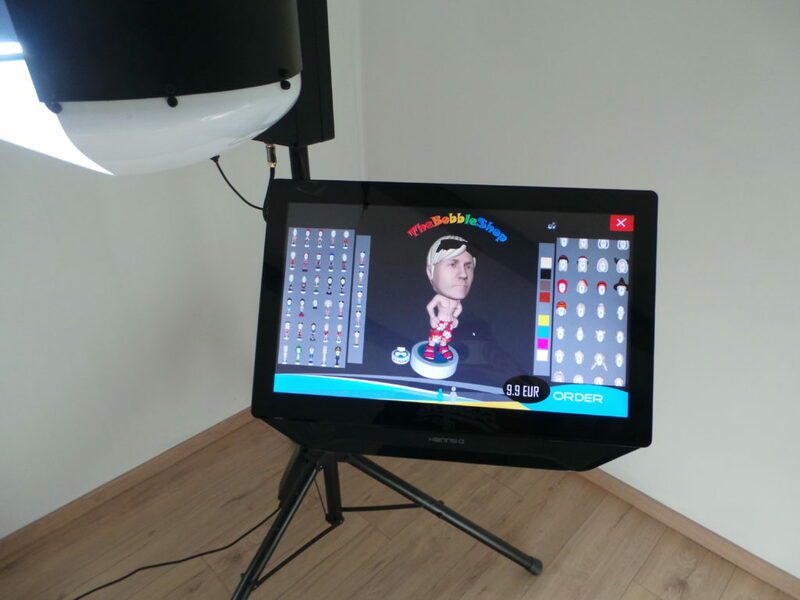 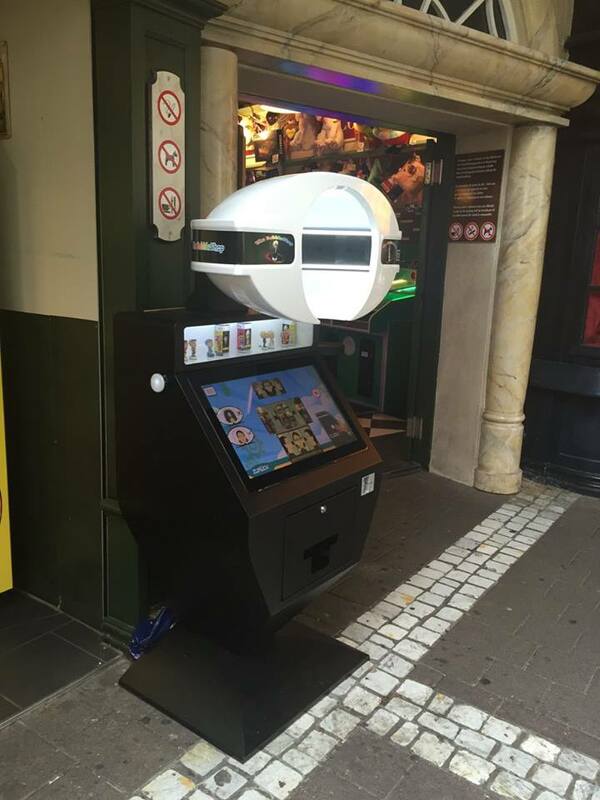 SelfEZ is an ultra-compact 3D kiosk that can be used in shops or at events. 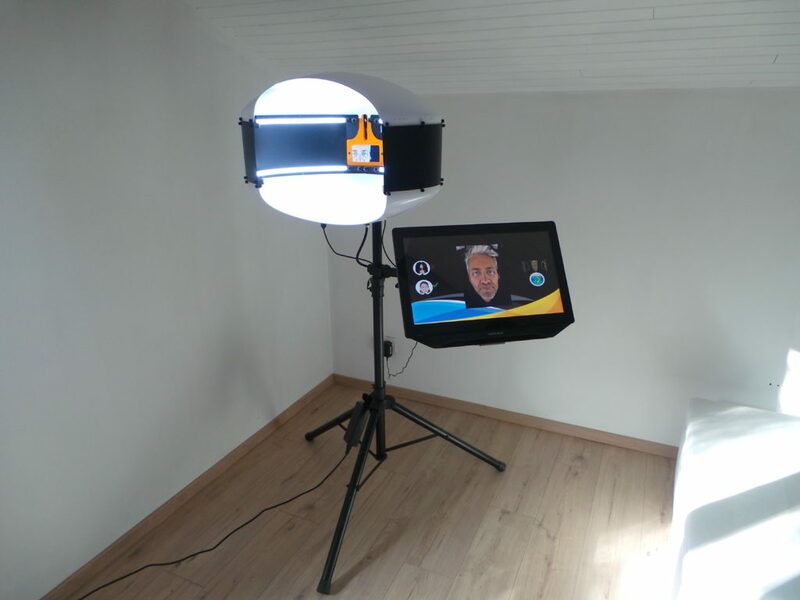 SelfEZ is “operator assisted” to scan people and verify that scanning has been done correctly. 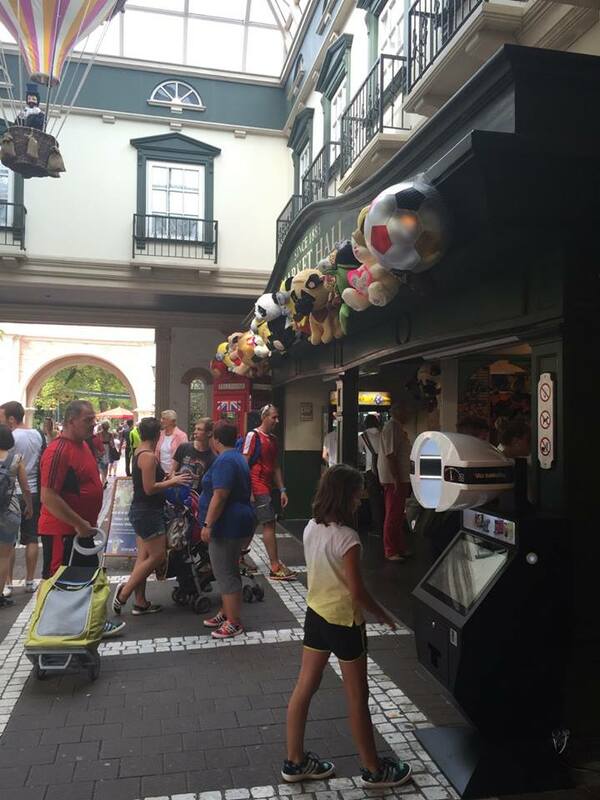 The cashing of the figurines is collected from the consumer in the store or during the event. 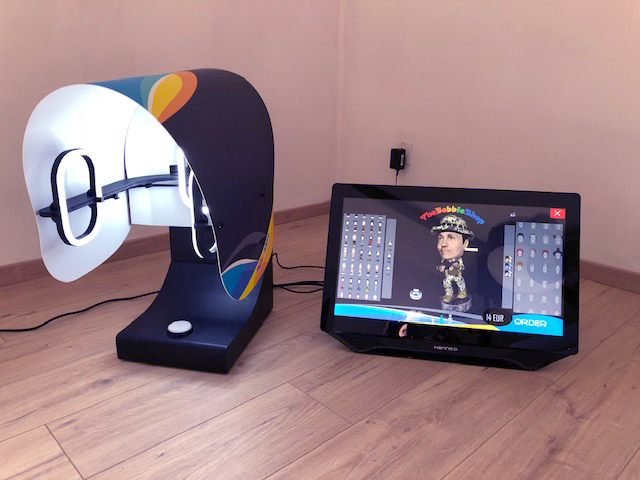 The 3D model catalog can be adapted to the context (season, theme of the event or any situation) by displaying a subset of models of the catalog (or any custom figurines that you have designed specially for the place/event). 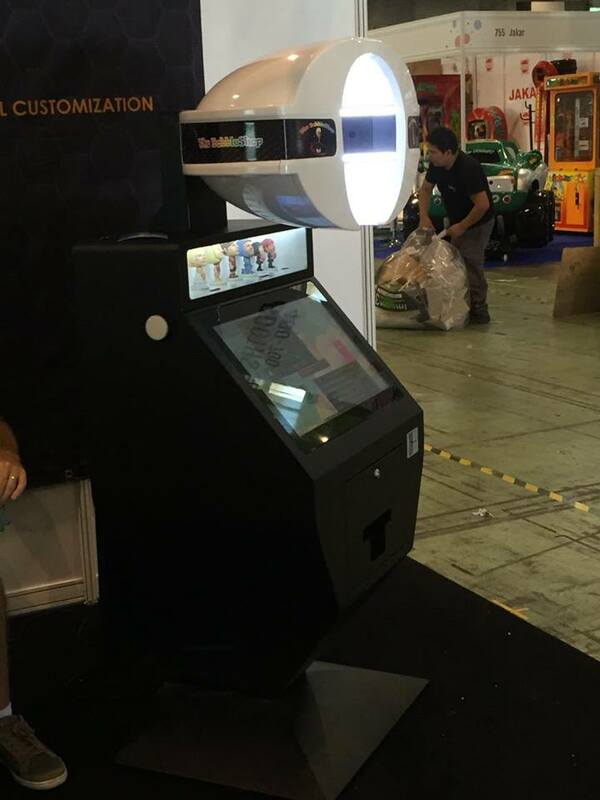 BB-scan is a 3D scanning terminal designed for events. 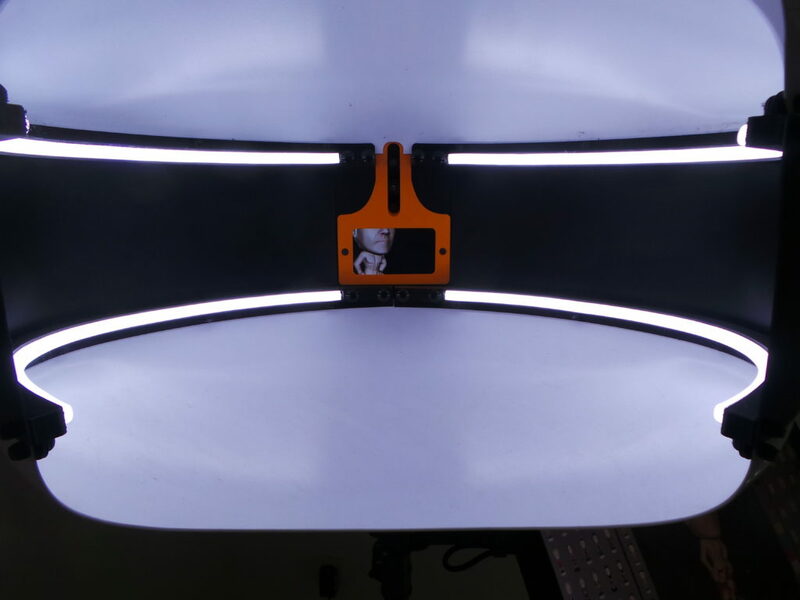 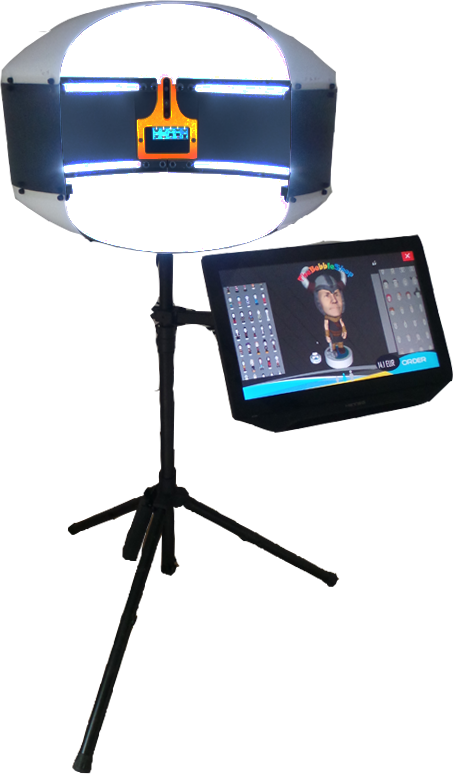 In a tripod or table version, its rigid shell and its high resolution sensor make it a safe value. 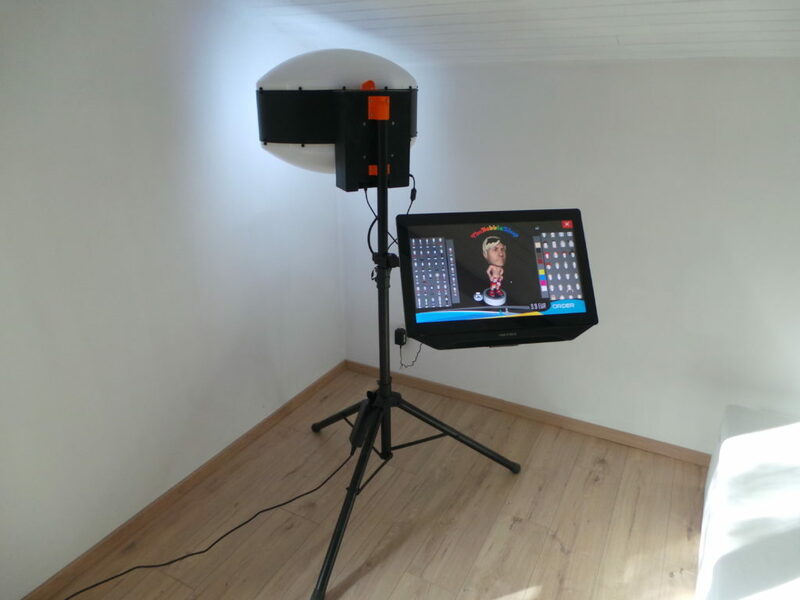 Although having an internal screen to help the placement of the person, it is still recommended to have an operator to supervise the use of the solution. 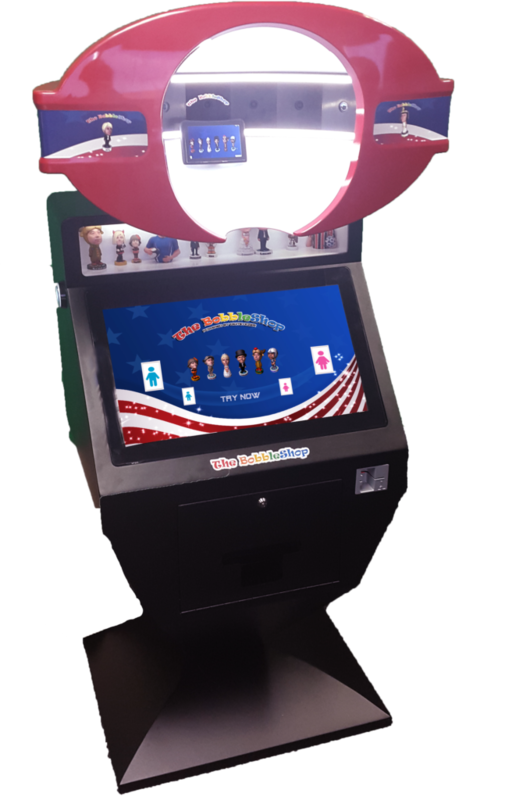 The shell is interchangeable and available in several colors, allowing a full customization of your events. 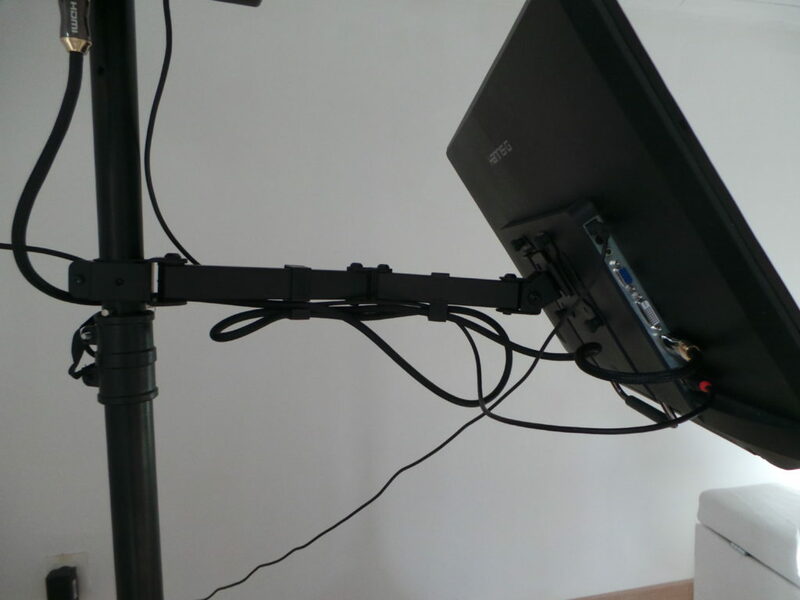 The ability to switch the scanner from the tripod to a table stand is a major asset for certain uses such as events. 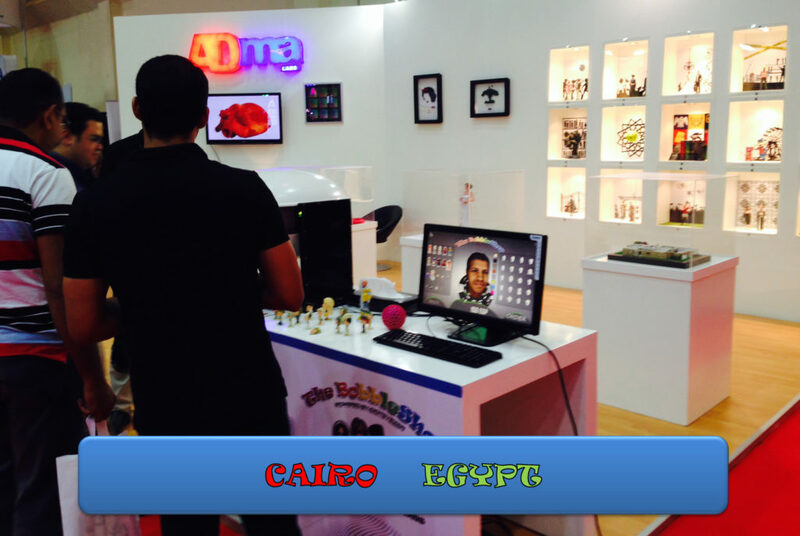 Booth is a 3D tabletop booth that can be used in a store or for events. 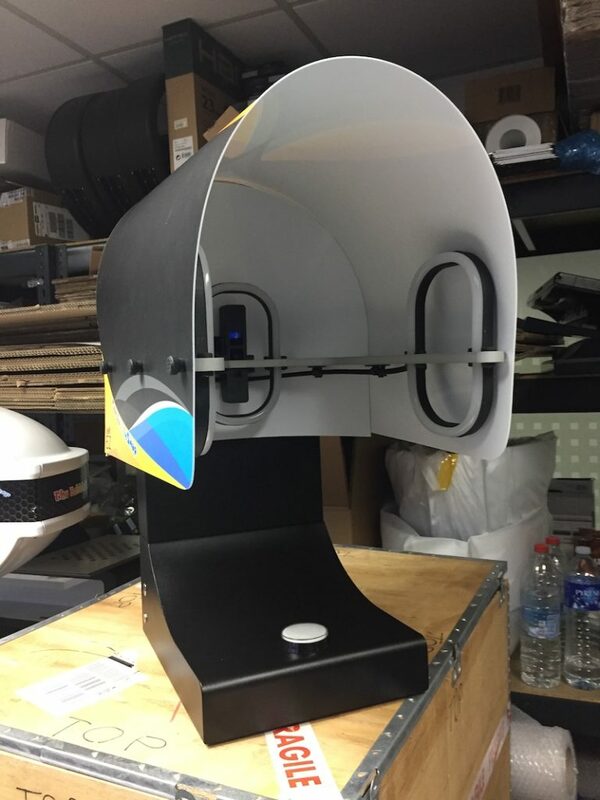 This is a semi-automatic solution because the consumer can scan without assistance, however it is not recommended to leave it unattended. 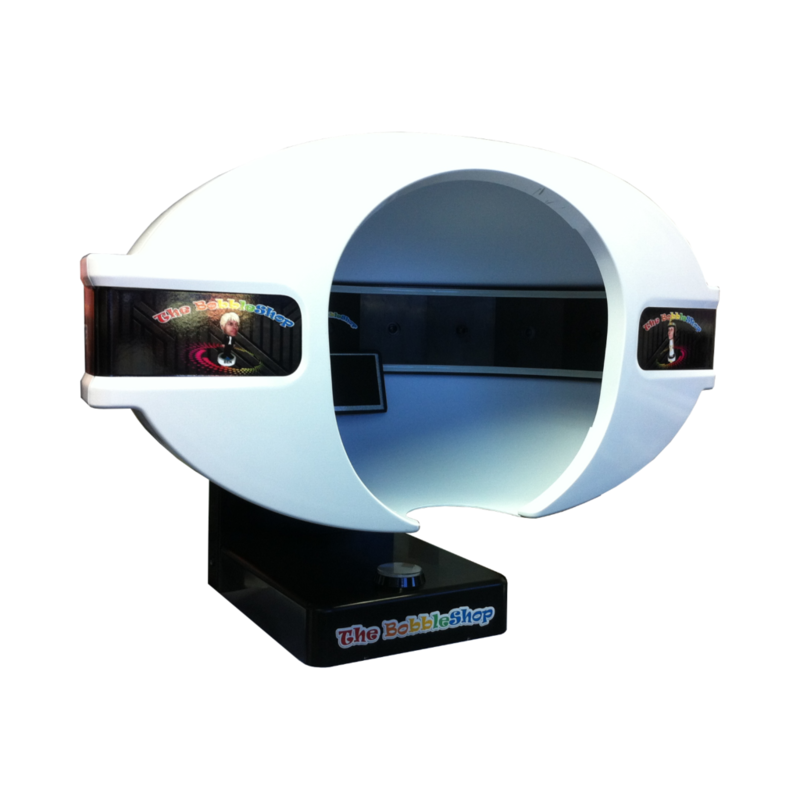 This model is one of our bestseller: efficient, robust, associated with a neat design. 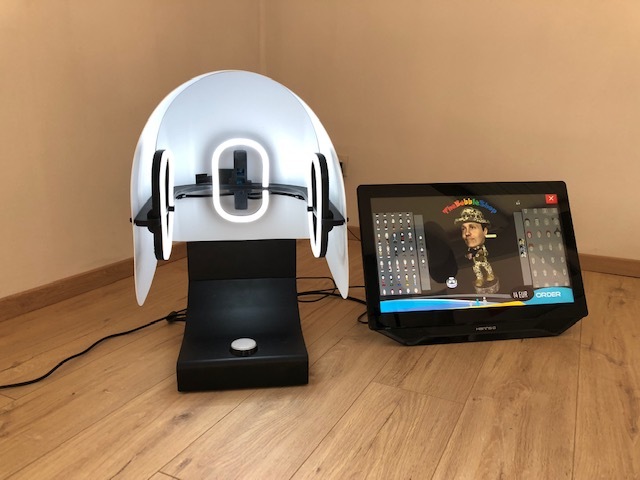 If you do not know which model to choose then take this one! 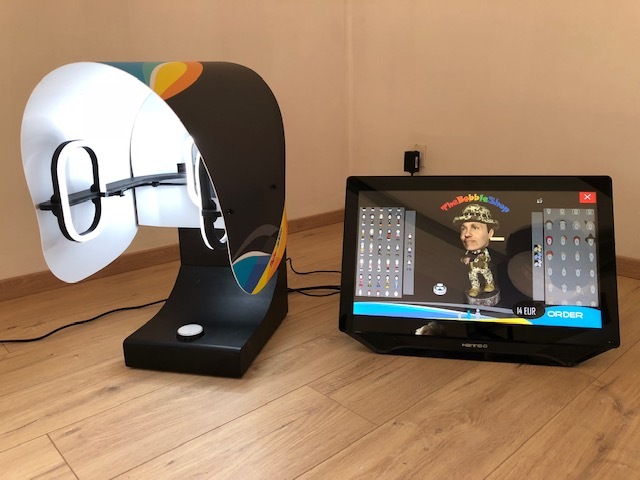 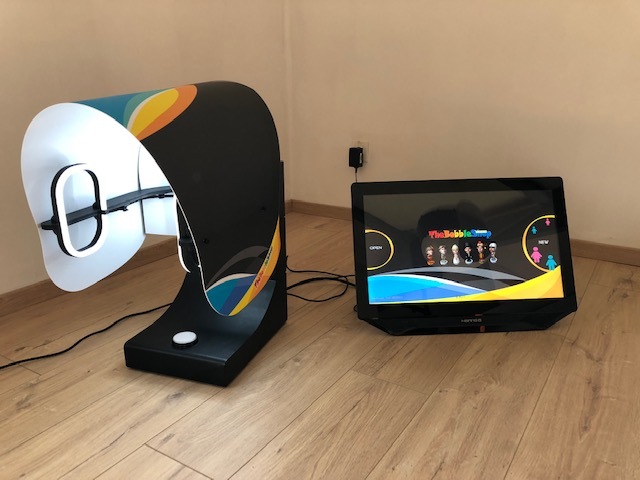 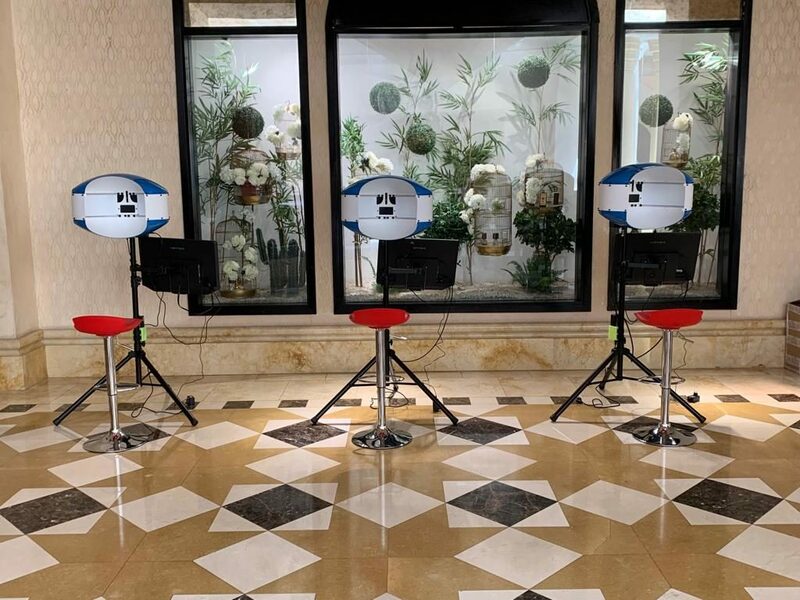 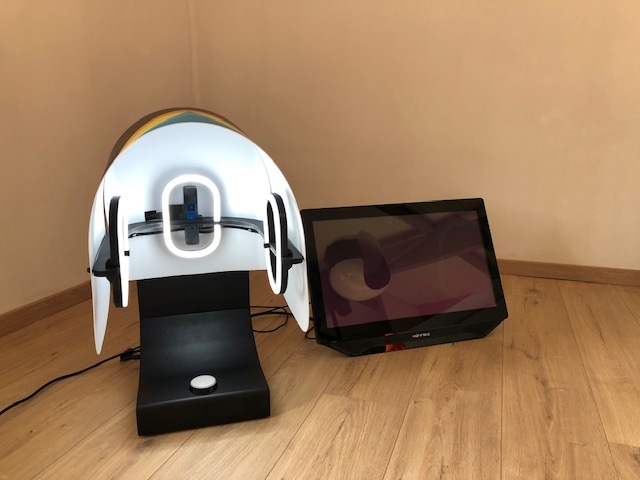 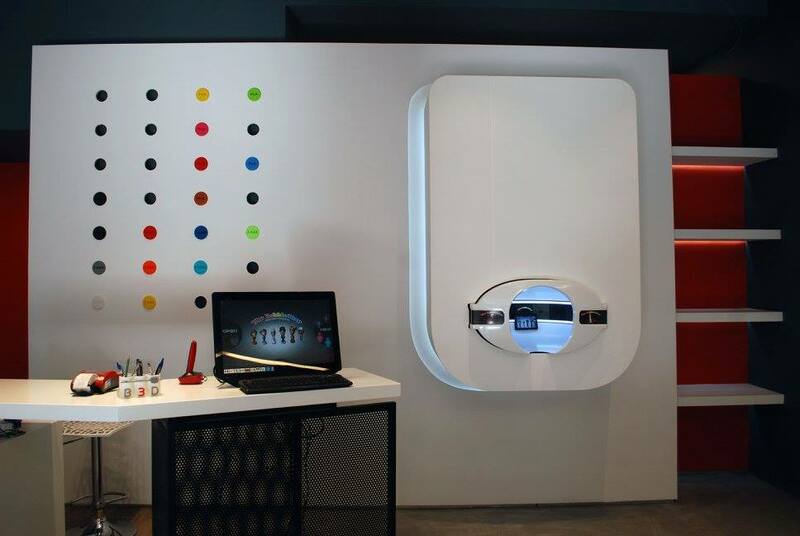 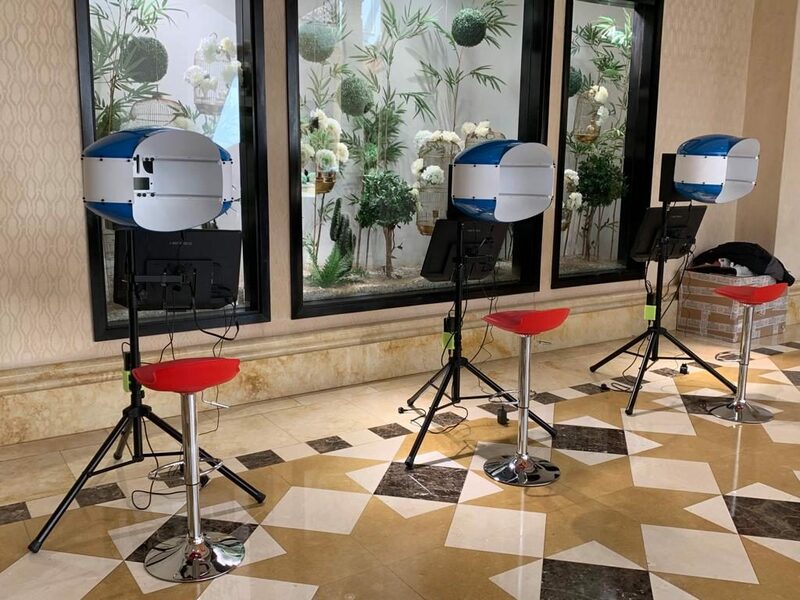 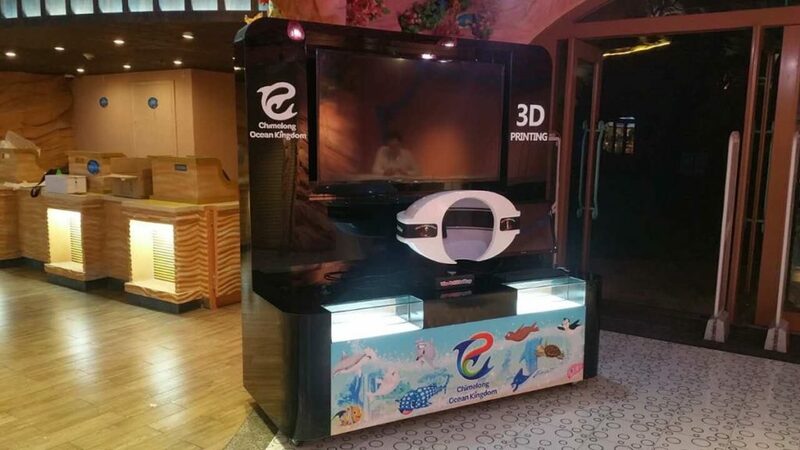 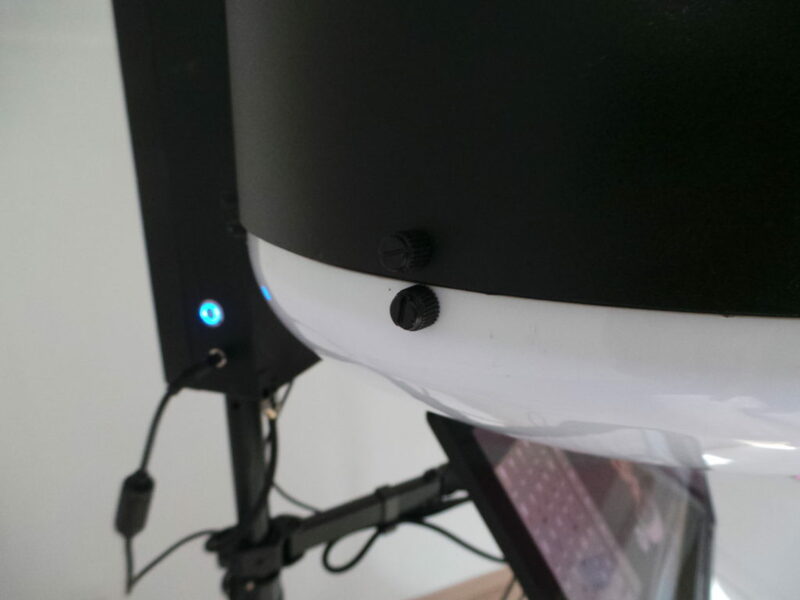 Kiosk is a standalone 3D booth that can be used in amusement parks, museums, stadiums and tourist spots. 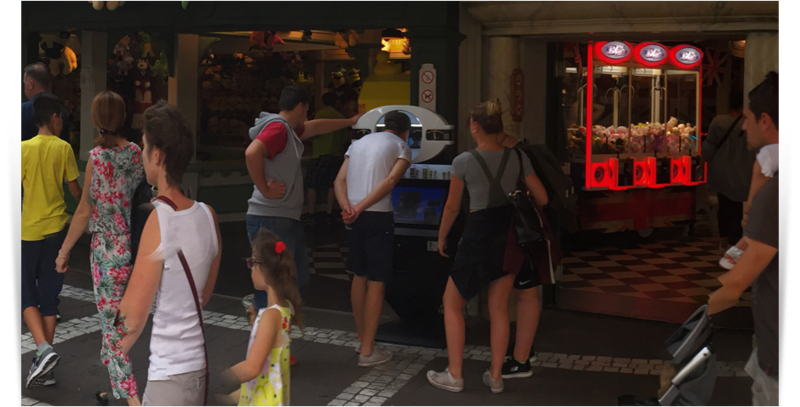 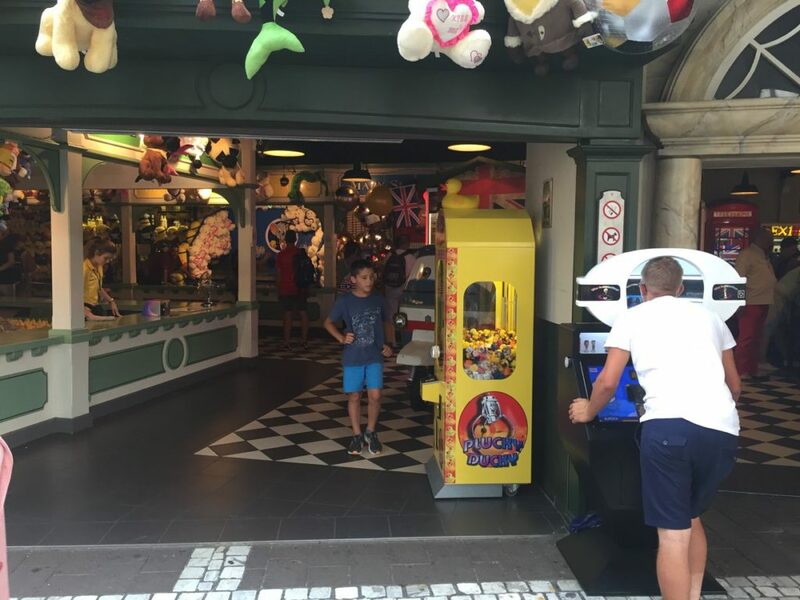 The kiosk is fully automatic from the digitization of the face until payment by credit card. 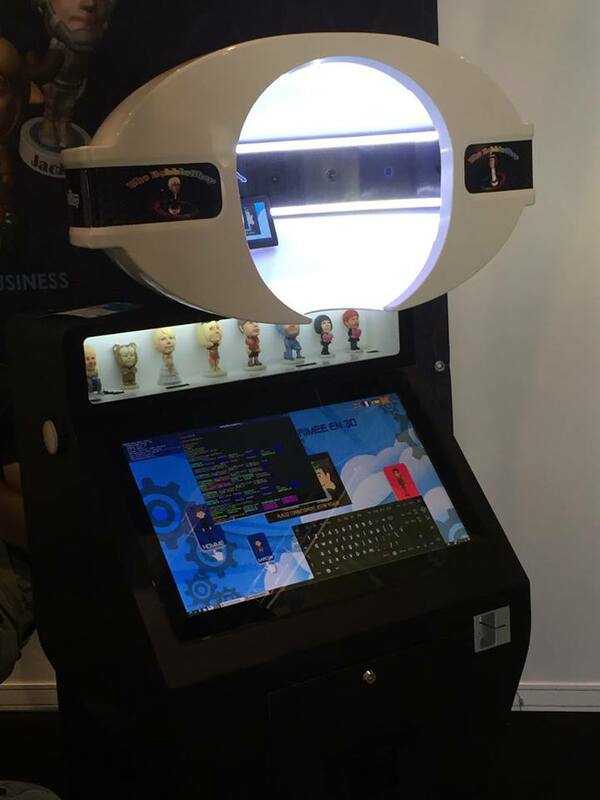 Thus it does not require any human resources (improving operating margins). 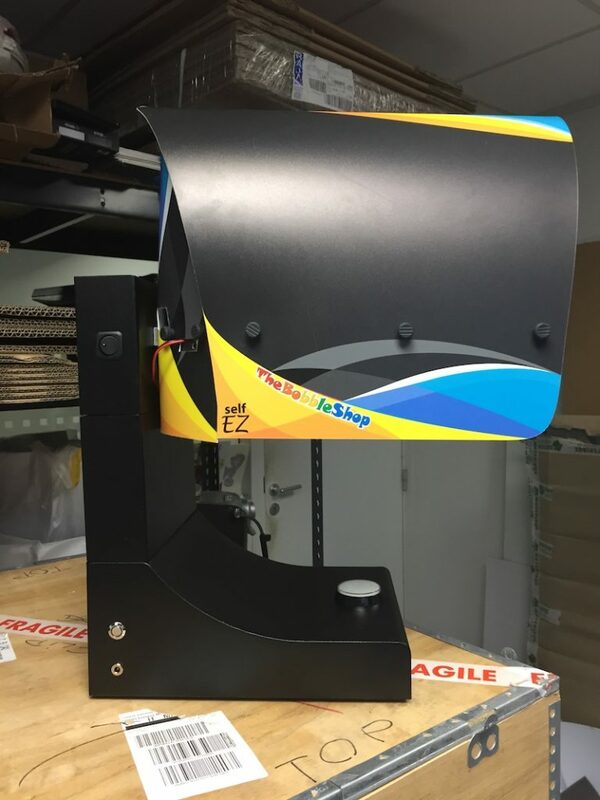 The scanning-printing process allows to scan up to 300 people a day. 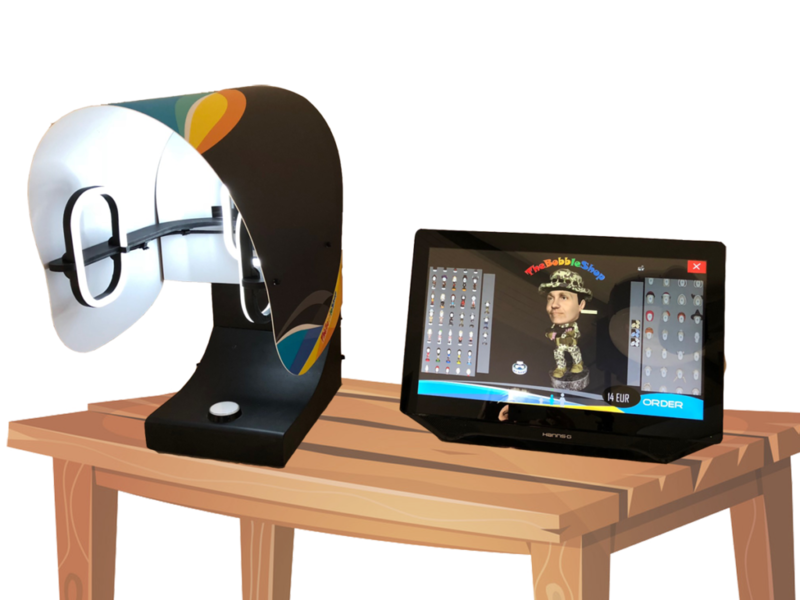 Its metal box can include a DNP photo printer to print photo receipts once the payment has been validated.